YOU'RE NOT ALLOWED TO SURF THE INTERNET. 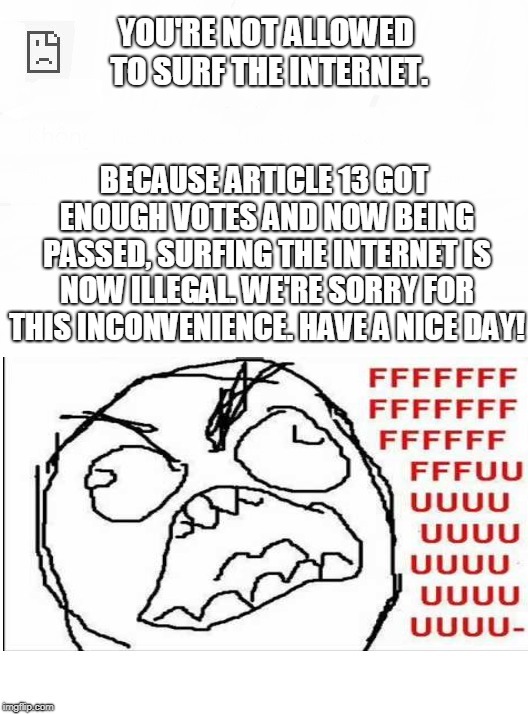 BECAUSE ARTICLE 13 GOT ENOUGH VOTES AND NOW BEING PASSED, SURFING THE INTERNET IS NOW ILLEGAL. WE'RE SORRY FOR THIS INCONVENIENCE. HAVE A NICE DAY!